I was recently interviewed by Religion News Service about evolution and Islamic creationism. 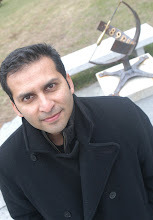 Here is the link: 10 minutes with ... Salman Hameed (and comments on beliefnet). Incidentally, the guy right after you in the "Recent Posts" list is Jimmy Carter.